PsiXpda is your ultimate pocket computer. Designed to be both powerful and stylish. It offers essential PC functionality where portability and availability is required. It is shipped with Windows XP Pro, providing a full computing experience in a small and dynamic package, for your business and entertainment needs. Intel Atom technology provides a common platform to build on, with 1GB of RAM and 16GB of storage using solid state circuitry. 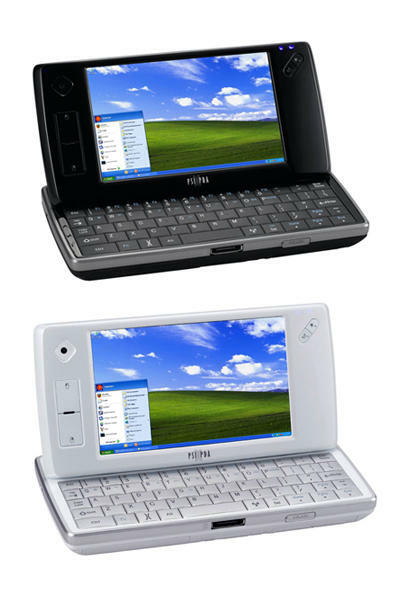 800 x 480 Touchscreen with built in trackpad and mouse buttons in the screen’s bezel. MicroUSB slot for extra storage and back-up. Q: Is my data safe from power loss? A: Yes. The PsiXpda uses solid-state discs (“SSD’s”) which do not require energy to sustain the information contained within. Note that if your PsiXpda loses power for whatever reason, any unsaved documents that you might be working on will be lost. Q: Can I use my Compact Flash discs? A: No. Compact Flash discs are obsolescent, and the PsiXpda uses the newer, smaller, and higher-capacity microSD cards. We can, however, transfer any information you have stored on a CF disc (see previous question). Q: Can I have my data transferred? A: Yes, we offer a data transfer service via our sister company, POS Ltd. They can transfer your data from your Psion, ready to be used with the new applications on your PsiXpda. The cost to transfer your data is £50 per hour; most transfers can be completed within an hour. Please note that if you wish to use multiple calendars, contacts directories, to-do lists, or synchronize with Outlook, you will need to purchase the Pro version of Essential PIM or have us purchase it on your behalf.